In some cases, the town and property owners let the proverbial sleeping dog lie, and owners freely allow beachgoers to use their property. This has certainly been the case with at least one beach in York, where the Norton family owns Long Sands Beach from the Cutty Sark Motel to the Sun ’n Surf Restaurant. The family and the town are now in negotiations to perhaps purchase that beach - a lifeblood for tourism in York. In other cases, property owners have asserted their rights, inevitably leading to litigation - including the 30-year-old, precedent-setting Moody Beach case in Wells, which held that the public had acquired no easement to the beach by custom or by law. Today, said Wells Town Manager Jon Carter, due to the ruling the beach is in its natural state and the town does not maintain it. In this case, the court relied on the Colonial Ordinance of the 1640s governing Massachusetts and its district of Maine, which allowed public access to beaches only for “fishing, fowling and navigation.” The public had no right to the beach for any other purpose, such as sunbathing, the court ruled. Today, another case could take this issue of private ownership in a wholly different direction. 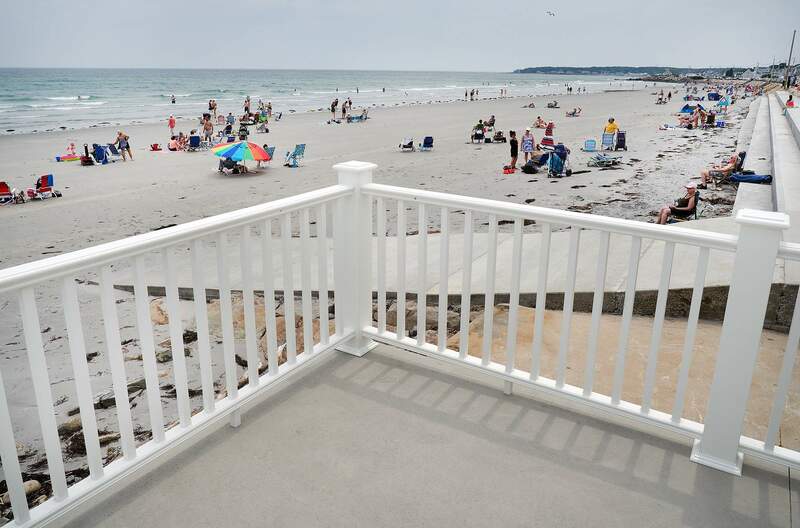 In the Goose Rocks Beach case in Kennebunkport, a Superior Court judge ruled last year that the town has title rights to the beach to the low water mark in front of all but one of the 23 private beachfront properties owned by those who brought the suit. That case is on appeal to the state Supreme Judicial Court.